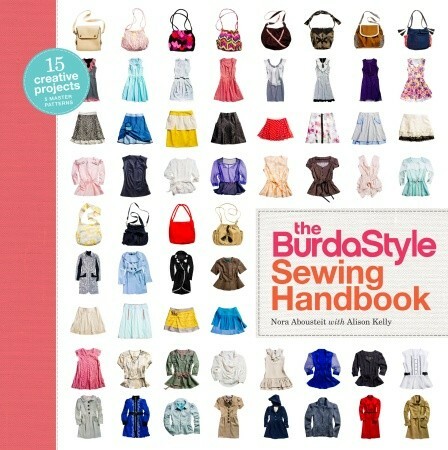 Would love to add this to my sewing library and share with my 4h sewing group! Love the spiral bound, love the added patterns. I always "cindy-fy" patterns and such, I bet this book is full of shortcuts and wonderful tips! As I join the ranks of "empty-nesters" this fall, I hope to re-connect with and old, dear friend--sewing!--to keep me company and this books looks like an excellent opportunity to do that. Thank you. Love Burda patterns. Easy to make, and always fashionable! Thanks for the chance to win this book! I sew crafts and would like to start sewing clothing. This book would be great! Sounds great! I love seeing how people set up sewing areas, and ideas for personalizing clothes. As my mother and I are now making dresses for my five grandnieces (her 5 great grand daughters), a book like this will be a great reference. The Burdastyle book will also help me make more sophisticated outfits for myself after a 40 year vacation from personal sewing. Thanks for the chance.